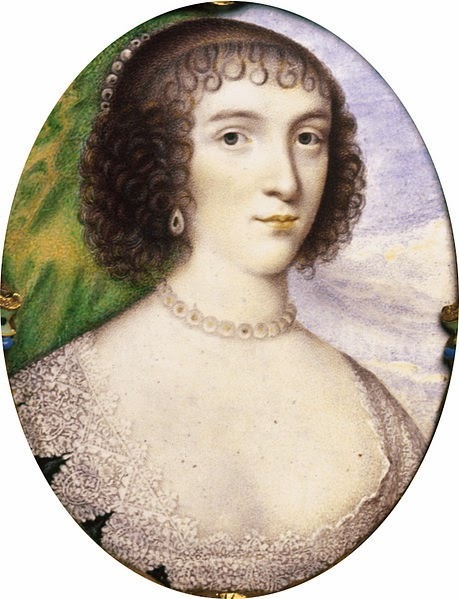 Venetia Stanley, the third daughter of Sir Edward Stanley and his wife Lady Lucy Percy, was born in December 1600. Venetia grew up into a beautiful woman. “She had a most lovely and sweet-turned face, delicate dark brown hair…,” wrote contemporary writer and philosopher John Aubrey, “Her face, a short oval; dark brown eyebrow, about which much sweetness, as also in the opening of her eyelids. The colour of her cheeks was just that of the damask rose, which is neither too hot nor too pale.” One of the most celebrated beauties of her time, her looks didn’t fail to catch the attention of a lot of men when she went to court. 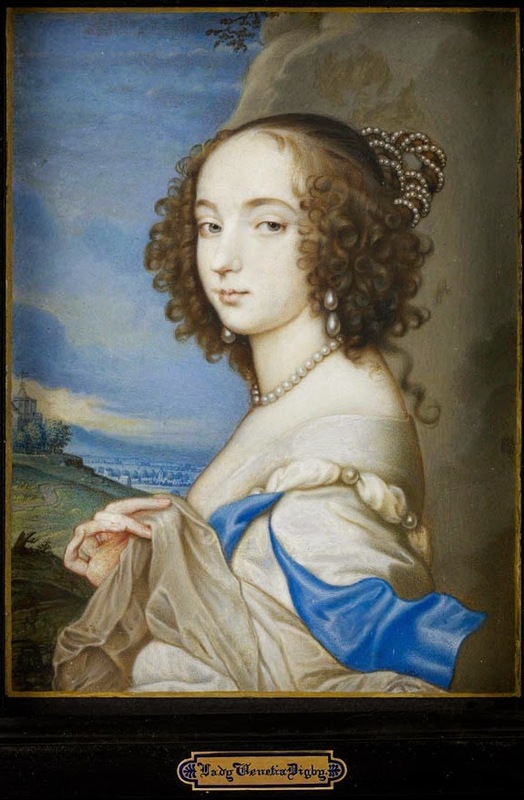 It was rumoured Venetia had had several lovers by the time she was 20. I doubt this is true, though. Maybe she committed some indiscretions, but such a behaviour would have been very scandalous even at the lascivious Stuart court. What’s certain is that she fell in love with Kenelm Digby, a charming and goodlooking noblemen three years younger than her and a Catholic. Both families were horrified by the match and hasted to separate the couple. Digby’s mother had him sent abroad on diplomatic missions hoping he would soon forget Venetia. The plan didn’t work. 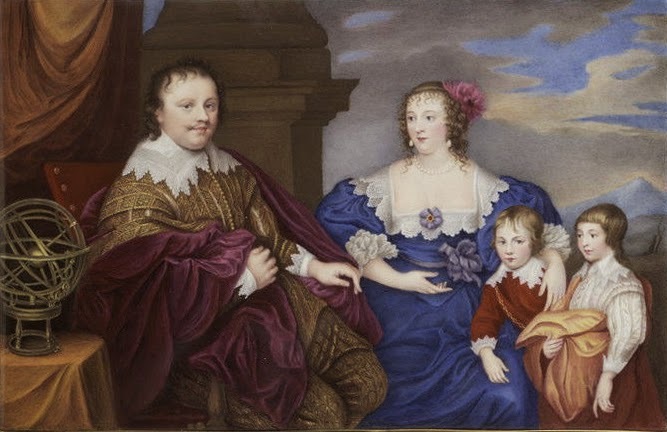 Once Digby returned home, he was still determined to marry Venetia, even though by then the young woman, left alone and without protection, had become the mistress of Richard Sackville, Earl of Dorset, and even had had children with him. 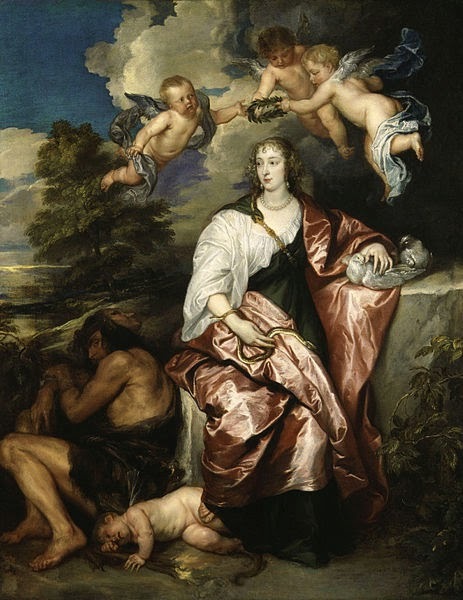 Kenelm and Venetia married in a secret ceremony in 1625, and for a few years, they didn’t mention their union to anyone. Poor Venetia even gave birth in secret and silence, without groaning and crying out in pain not to alert the servants in the house about what was going on. The couple had three more children, two of which sadly died young. Marriage seemed to have done her good, though. The rest of her short life, dedicated to her family and the Catholic religion, was scandal-free. Rumours of marital problems between the couple surfaced, though, when Venetia was found dead on the morning of 1st May 1633. It was her maid who found her dead, her husband having gone to sleep in a different room after returning home in the early hours of the morning so as not to disturb his wife. What had killed Venetia? Theories abounded. Had Digby murdered his gorgeous wife in a fit of jealousy? Had she repented of the marriage and committed suicide? Or was the toxic ingredients in her cosmetics, concocted by her husband to preserve her beauty, that had killer her? Whatever the truth, Kenelm was devastated. 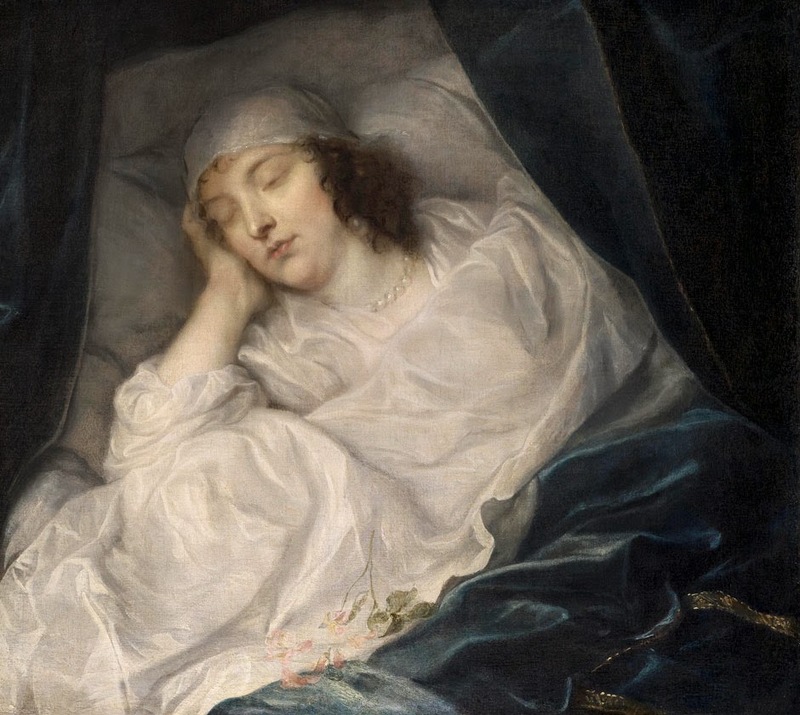 He asked Anthony Van Dyke to paint a deathbed portrait of Venetia, which he kept with him at all times of the day and night. Like that weren’t morbid enough, he started writing letters to his dead wife, which were later published in a book titled “In Praise Of Venetia”. He also wore mourning for the rest of his life and became more reclusive and unkempt as the years went on. He died on 11 June 1665.